This is the vehicle that many people unfairly overlook when considering a used people carrier. 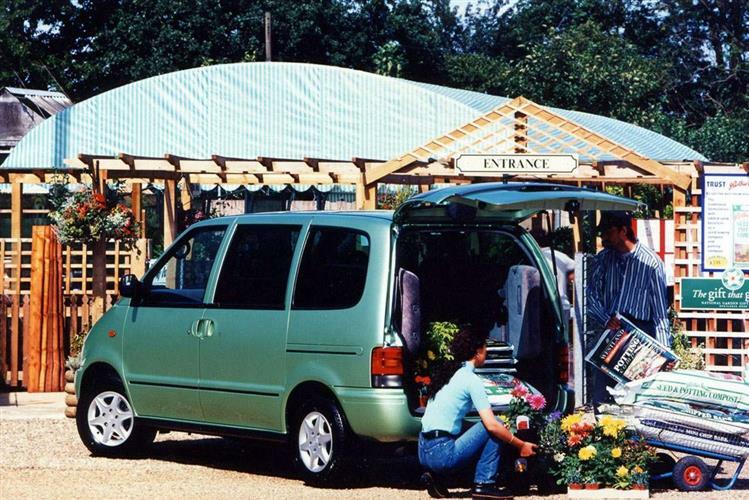 As recently as 1996, however, the Serena outsold the car that started the European MPV ball rolling, Renault's Espace. Available new and used at prices well below those of most of the competition, Nissan's high-sided hold-all makes sense if, like many family buyers, price is all. 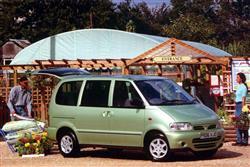 The Spanish-built Serena is based heavily on the Japanese original, itself derived from a van. Compromises had to be made for the European market, though the main one, narrow width, is actually appealing to many buyers. It makes the car easier to manoeuvre in narrow streets but also results in high-sided styling. Because Nissan didn't have to spend billions designing a people carrier from scratch, the Serena is sold at prices that undercut most of the new (and used) competition. To be fair, you won't be buying a vehicle that handles as well as some sophisticated European competitors but you will get a well-equipped family car, readily available on the used market, at prices that give it the edge over most rivals. The Serena arrived in the showrooms in January 1993 and was available with three different engines. There were 1.6 and 16-valve 2.0-litre versions as well as a 2.0-litre diesel. A newer, bigger 2.3-litre diesel replaced the original unit two years later. 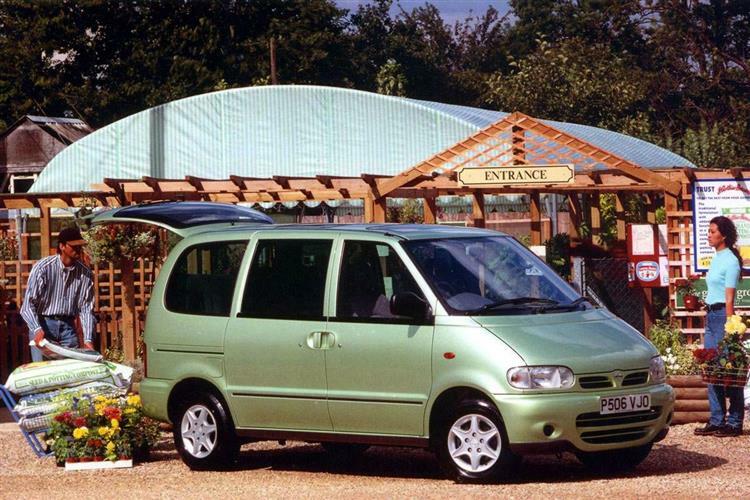 This and the introduction of a 16-valve version of the 1.6-litre engine in July 1996 were the only major mechanical changes to the Serena range so far. A new Excursion trim level arrived in mid '96 and this and the SLX gained standard air conditioning (always a selling point with used MPVs) in May 1997. The 2.3 diesel models were only ever available with sliding doors on both sides though Serenas with other engines had either a passenger-side sliding door or the dual-door arrangement. A utilitarian vehicle, really, but nobody ever bought a people-mover for sports car handling or limousine ride. The interior is light and flexible in the way it can be arranged. For example, you can turn the Serena into a minibus, van or half and half, simply by removing or re-positioning the seats. Versatility depends on the model you choose; both entry-level GX and SLX models allow you to travel eight-up. The second sliding door is certainly a boon, particularly if you're unloading children or shopping beside busy roads. If you're consigned to the rearmost seats, easily accessed through the middle row, then you might be surprised at how comfortable you are. In fact, legroom for all rear passengers is very good (much better than in the Mitsubishi Space Wagon). There are, perhaps, unsurprisingly, very few areas to watch with the Serena. Shock absorbers tend to get quite a work-out if the car has been driven regularly with a full complement of passengers and luggage. Push down on the bonnet and the body should resist sagging. If it bounces back, the shock absorbers will need replacement. Mechanically, though, the rest of the Serena's underpinnings are long lasting and reliable but watch for rattly or smoky engines as worn camshafts are not unknown. Interior trim may have had a hard life at the hands of the young children. Don't forget to check the electric windows and door-locks, if fitted, as well as both electric sunroofs and air conditioning standard on many of the more recent models. (approx. for a 1995 1.6) Expect to pay around £160 for a full clutch assembly, about £270 for a complete exhaust system (excluding catalyst), up to £180 for a front headlamp and about £300 for a starter motor. Brake pads are up to £60 front and £50 for the rear set, around £195 should buy a new radiator and an alternator is about £290. Handling is well controlled as is body roll - a bugbear with many cars of this type. It helps that the engine is positioned under the front seats instead of the bonnet, giving the Serena better all-round balance. Around town, driving could hardly be easier thanks in part to the narrow design - a real advantage in nip-and-tuck traffic. The clutch, gearbox and steering are all as light as you could want and the brakes are powerful and progressive (with anti-lock on the later SLX and Excursion models). Lots of room, yet this Nissan takes up a minimum of space in the garage and costs a lot less to run than most of the competition. For what you pay, the Serena is excellent value.